If you’re looking for yet another dining concept on The Beach at JBR, Claw at La Playa might just be your best bet. An air conditioned tent offering delicious nosh, shisha and the views of the Ain Dubai, you can be assured of some delicious nosh to unwind. Because of shisha being served in the venue, it’s accessible to those over 18 only. Bringing in some classics from the traditional Claw at Souk Al Bahar, Claw @ La Playa has some of its favourites. 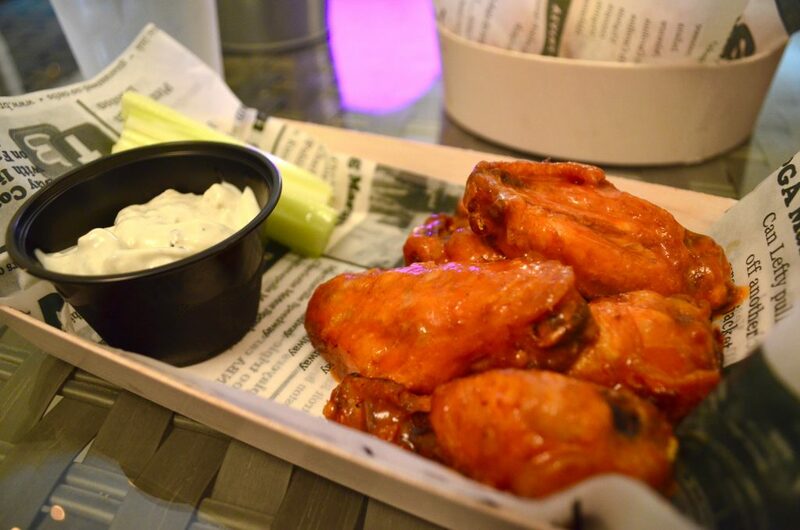 We kicked off our meal with some delicious buffalo chicken wings served with blue cheese dip (of course, which F.C. devoured). We then opted for the chilli cheese fries, which of course I could only taste (still on a diet) but F.C. DEVOURED. They are fully loaded and are a delicious, if not filling snack. It’s not soggy and in foresight, simple. But it is no doubt delicious. I silently puffed on my shisha as I watched F.C. finish them. The shisha service is excellent and non-intrusive. 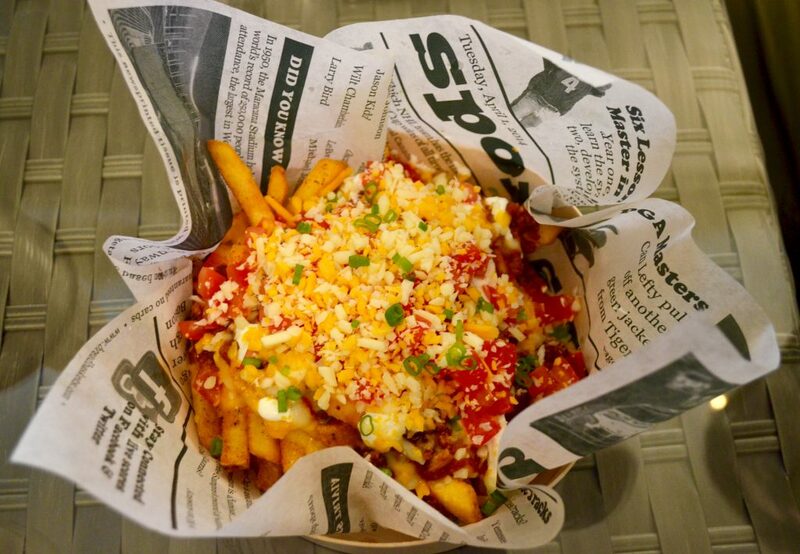 Best chilli cheese fries EVER! We then decided to order mains and went with the signature baja fish tacos. These were my favourite dish of the night. Squeeze a dash of lemon on them and it kind of transported me back to a California summer where I indulged in some very similar mahi tacos. Good stuff. The food is very similar to the original Claw menu, but also have rather steep prices. 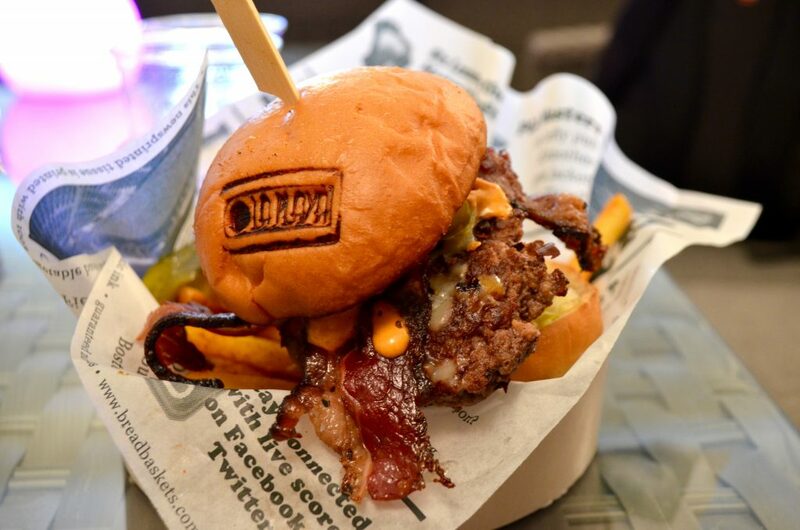 Even though this was a media invite; I would think twice about ordering a burger worth AED 85 on the menu. The burger we opted for was the jalapeño bacon burger and even though it came in branded, we felt that the price to quality ratio just wasn’t there. F.C. also noticed that the food was served in cardboard and we received wooden cutlery. I get that Claw is trying to keep the casual atmosphere here, but I think much like the food trucks here, if you want to keep it casual and understated, you cannot simply ask for these kind of prices. It’s just not balanced. We closed our meal at Claw @ La Playa with their New York cheesecake and it was a dish made of dreams. I couldn’t resist taking an extra bite even though I’ve been watching what I eat these days. Simply delicious! Overall, we really enjoyed our meal here; though we think we’ll be back only for snacks and not a full fledged dinner. LOCATION: The Beach, JBR. Opposite Eggspectations. I have to say, I’ve been to Claw a few times and I’ve always been underwhelmed by their food and their drinks. The fact that they are charging 85Dhs for a burger in a venue which (I am assuming) is unlicensed and serving it on and with disposable tableware just makes me sigh, it’s so typical here. I’m also not sure I understand how shisha ties into a Southern BBQ restaurant – even if it is a pop up. Seems like the concept started with good intentions but missed the mark, but at least the fries were good!